With 196 countries around the world, we'd put together our selfies in each country we have been to and a bit about our time there. We've been to quite a few places in Europe and North America and we love looking back on all our travels. It can be easy to forget some of the things we did but our photo collection helps us remember. Here are our selfies around the world. We hope you like them. 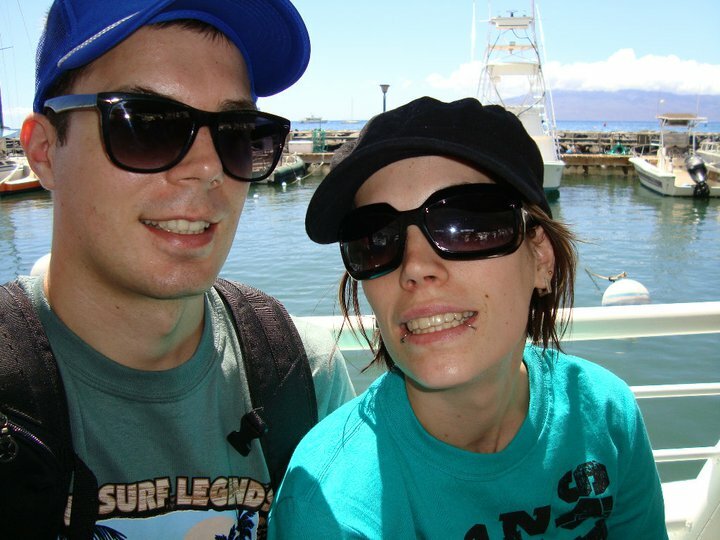 We have been to the USA quite a few times but one of the most memorable ones for us was when we went to Hawaii for our honeymoon. It's memorable because it was our honeymoon but also because Hawaii is such an amazing place to visit. The weather was pretty great when we were there except when we were in Honolulu. This selfie is from when were in Maui which is where we went on a submarine ride and did some other stuff as well like go to Iao Valley State Park. It was a trip we will never forget. 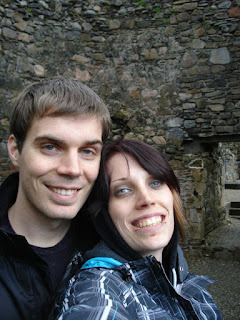 The first time we went to the UK we bypassed England altogether and flew straight to Scotland for the Best of Bonnie road trip. We were only there a week which seems like a crazy idea but it was a lot of fun. We went with mom and my aunt. Somehow mom got stuck driving which she was not thrilled with since it was on the left side of the road. You had to pay more for someone under 25 to drive so that was a problem. She did it though and we saw basically all the castles in Scotland you could want to visit thanks to our castle pass that was included in our deal. We also stayed in a lot of cool guesthouses. We were working a lot and wanted to go on a cheap holiday to somewhere new and Cuba was in our price range. Both of us had coworkers that had told us about how much they loved Cuba so we went for it. The beach was the most beautiful beach we've ever seen and it was a lot of fun hanging out by the beach. We had quite a few mishaps on this trip but we will never forget the wonderful beach. This is our selfie with the beach in Varadero. We tagged along on my cousin's holiday to Mexico at the last second and had a lot of fun seeing Puerto Vallarta again. This time we were both there together. We even went surfing on this trip. This selfie would be of us surfing but we were too busy learning to surf to take photos. What a fun time. We will never forget our time in the UK. Our friends in Victoria were from the UK and we all came up with a plan to all move in together in Birmingham while one of them was going to school. We had to get youth mobility visas and you can only get those until you are 30 so this was our last chance to do this sort of this. We dropped everything, moved in with our friends and had an unforgettable time in the UK with ups and downs, may jobs and many adventures. This selfie is in Bournemouth is from the first week we were in the UK when we were actually homesick and wondering if we had made a huge mistake. I don't think you can tell all of that by our smiles. Being the UK, it was only a short flight to Madrid and we went not knowing much at all about the city. We got a chance to meet up with some travel bloggers, Alternative Travellers, which was a lot of fun. We went to quite a few places for vegan food, struggled with Spanish mealtimes, saw some cool sights like an Egyptian Temple, visited the Reina Sofia art museum for free, and spent a lot of time walking the city. This selfie is us in front of the Palacio Real de Madrid. We went on a big Mediterranean cruise with mom where we stopped at a few places in Italy such as Pisa, Pompeii and Rome. Here we are in Rome sweating buckets as the heat there was unrelenting but we had fun exploring. We went to the Pantheon, took a bus tour all around and here we are at the top of Altare della Patria smiling away, probably delirious from the heat. This was another place we went to thanks to the cruise. We took a bus the drove us from Canne, France to Monaco. What a strange place this is. Our tour guide kept repeating the phrase "only the most famous" to describe everything so now we use it whenever we travel anywhere. We got to the "only the most famous" sights such as the F1 race track and the Monte Carlo Casino. Well, the outside at least. On this blog, we take pictures with "only the most famous" of cities. Thanks for checking out our selfies around the world post. Hopefully, you found this post entertaining or at least mildly amusing. We have more to share but that will have to go in another post. We thank our lucky stars we've got the chance to do all this fun travelling.